How Does Stain Resistant Carpet Work? One of the most popular features in today’s new carpets is their ability to fight accidental stains and spills. It is one of the biggest deciding factors in carpet purchases especially amount young families and homes with pets. No matter what type of home and who lives in it a stain or spill is bound to and will occur, for this reason, people gravitate towards purchasing carpets with stain proof promises. Most stain resistant carpets are treated with a special chemical coating to form a protective barrier between the stain and the actual carpet fiber. The chemicals will vary depending on what the company has decided to apply. Many consumers make the mistake of thinking stain resistant means stain proof. 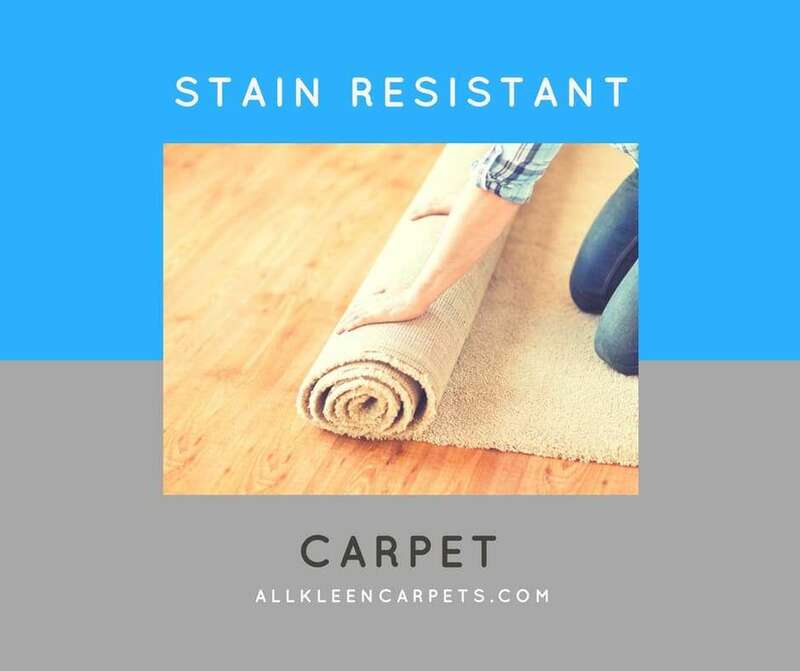 There are countless carpets out there today that offers stain resistance, but there is not one carpet that has a guarantee of being 100% stain proof. Even with stain guard, a carpet will need to be cleaned as soon as a spill happens. The resistance to the stain will depend on a number of factors including the age of the carpet and if it has been exposed to harsh cleaning chemicals that wear down the coating. Generally the better the stain protection the more pricey it will be. The newest in stain resistant carpet technology is very impressive, but it will cost a bit more. Smart strand carpet is one of the best stain resistant products. The key to Smart Strand’s stain resistance is the organic fiber used in the material with low liquid absorption and a zig-zag profile instead of a straight one. This allows for stains to be wiped away with little effort and it will still feel soft and look great after a spot treatment. Of course, the best way to keep up with any stain resistant carpet is to properly clean spills as they happen. You will want to follow the manufacturer instructions and avoid using harsh spot treatments especially any that have bleaching agents in them. Always blot a stain working from the outside in and never rubbing. Over time the protective chemicals used to coat the surface of the carpet will wear down and need to be re-applied by a professional carpet cleaner. What is R-Value in Carpet? If your carpet is not resisting stains the way it used to that is a sure sign it is time to re-apply the stain guard treatment. All Kleen can apply stain guard to your carpets and upholstery. Make an appointment with All Kleen online.